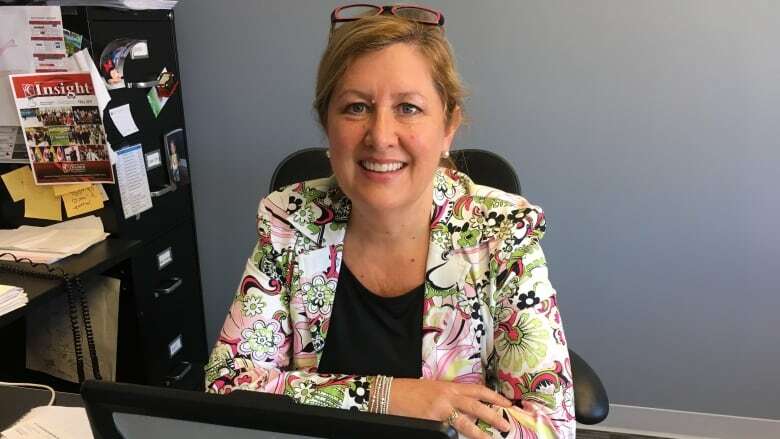 The Fredericton Chamber of Commerce is calling on the new Progressive Conservative government to follow through on implementing recommendations of the WorkSafeNB task force and put an end to "skyrocketing" premiums. The Fredericton Chamber of Commerce is calling on Premier Blaine Higgs's Progressive Conservative government to follow through on implementing recommendations of the WorkSafeNB task force and put an end to "skyrocketing" premiums. Starting Jan.1, employers in the province will have to pay $2.92 for every $100 of payroll to cover benefits for injured workers. That's almost double the current rate of $1.70 and nearly triple the 2016 premium of $1.11, said Krista Ross, CEO of the chamber. "It's now the highest rate in Canada and we are the only jurisdiction where the rate has gone up in the coming year," said Ross. "It's a huge cost for businesses." She said it comes on top of other added costs, such as increases to minimum wage and the impending carbon tax changes, she said. "This may be the straw that breaks the camel's back for some small businesses." Employers pay premiums to WorkSafeNB to cover the Crown corporation's operations, including benefits to workers injured on the job. The 7,000 smallest employers in the province will be forking over an additional $700 each. The chamber blames the "out-of-control" increases on legislative changes in 2015 that gave the Workers Compensation Appeal Tribunal policy-making authority. The tribunal began overturning WorkSafeNB decisions on compensation, creating retroactive costs and forcing the board to raise premiums. In July, an independent task force made up of employers and workers recommended the province amend the legislation so that tribunal rulings are no longer "of a general nature" and apply only to the individual worker's case. It also said the tribunal should not have the power "to alter, vary, reverse or amend" any WorkSafeNB policy but only to "bring to the attention of WorkSafeNB" policies that need changing. Higgs, who was sworn in as premier on Friday, has said his government will introduce legislation this fall that may come in two phases and wouldn't be quick enough to avoid the Jan. 1 increase. But it might allow rates to come back down two or three months into 2019. Ross said the chamber is "very encouraged" to hear Higgs says it's a high priority for his government. The business organization that represents nearly 1,000 members had talked to all parties prior to the election about the importance of the issue. Without legislative intervention by the government, the chamber fears rates will continue to climb. "We want to look after injured workers," Ross said. "That's the priority, that's what this system is for, but it also has to be sustainable. It has to have a cost structure that's affordable." The rate increase since 2016 is "beyond acceptable," she said. "It's increased 163 per cent. Nothing should increase that much in that short of a time." She points to WorkSafeNB's own statistics, which indicate workplaces across the province are becoming safer. Severe and external injuries, for example, are down 47 per cent since 2002 and they've been stable since 2013. Similarly, bruises and contusions are down 32 per cent since 2002 and have been stable since 2011, while strains, sprains, and pain have been "fairly steady with a very modest recent cost escalation." But unlike the other nine provinces, which have seen an average rate decrease of 8.3 per cent between 2016 and 2018, New Brunswick will see a third consecutive jump. "To give the power of upsetting policy and creating policy to the tribunal versus with the board, that's not the best practice," Ross said. "That's not what we're seeing across the country. "So it is different here and we believe that needs to be fixed and put back in place — and that is in the report of the task force."